There are many benefits to working in the commercial real estate industry, but one aspect really stands out: The people in our industry are generous, creative and like to enjoy themselves from time to time – especially when there’s an opportunity to combine having a good time with helping others. That sums up the focus behind Concierge Unlimited International’s annual Halloween Client Appreciation Open House. 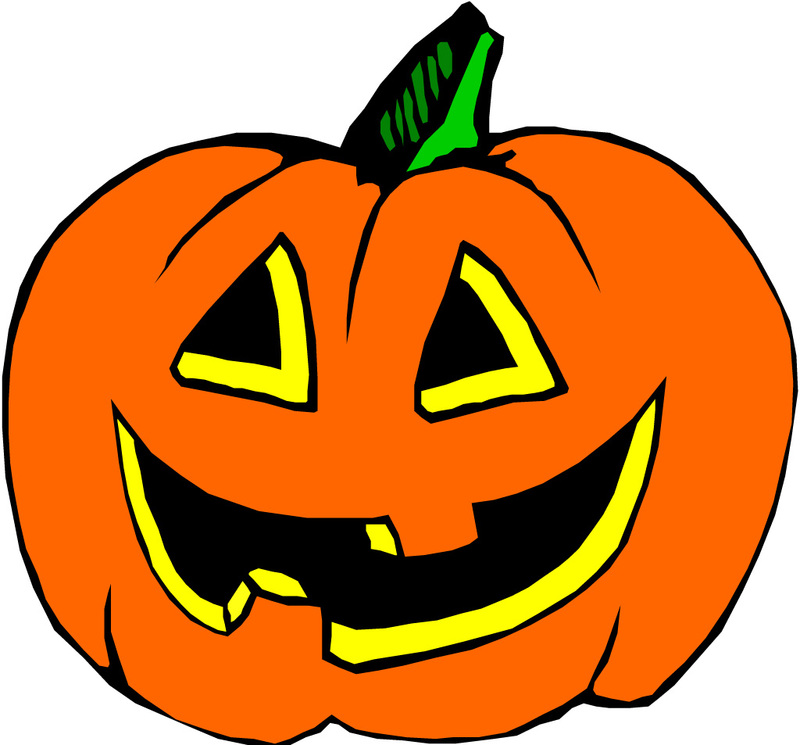 Now in its 21st year, this annual event brings members of property management, leasing and related industries together for a Halloween-themed evening of food, drink and fun, with a silent auction and raffle to raise money for four charities. Over the years, we learned that well-planned, themed events are valuable ways to thank our clients and nurture networking within members of the industry. Held in the early evening after the work day has ended, the Halloween Open House provides great opportunities for top decision makers from real estate and other industries to exchange ideas, while showcasing Concierge Unlimited International’s products and services. Raising money for causes we believe in just makes it all the better. The initial goal of the Halloween Open House was to host a client-related event that was different and distinctive from the numerous holiday parties given to corporate clients by other vendors and industries during the months of November and December. 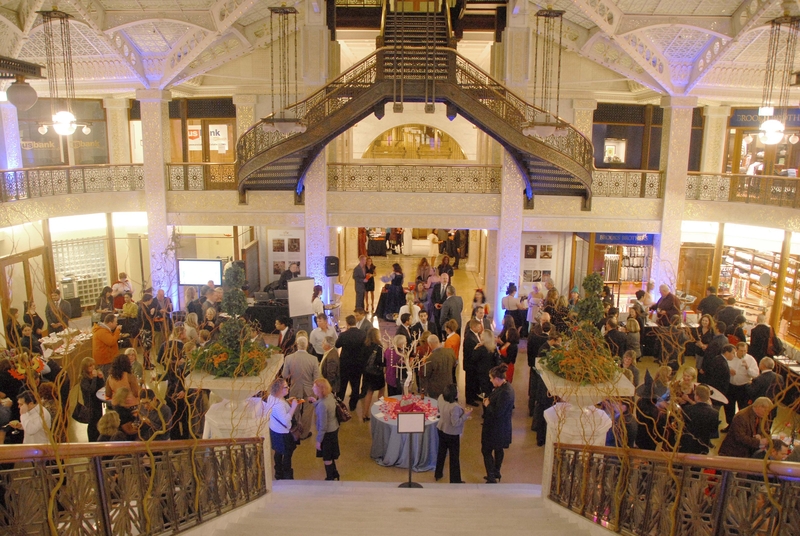 This year, our Open House, held October 27 in the Light Court at the Rookery, brought together more than 270 Chicagoland professionals and generated upwards of $8,000 for four charities: Les Clef D’or Foundation, Mercy Home for Boys and Girls, Les Turner ALS Foundation and the Anti-Cruelty Society. 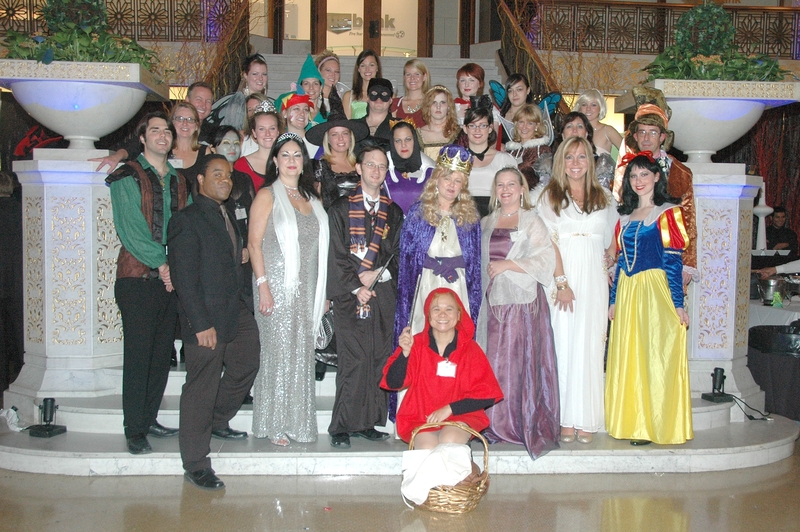 The event’s theme, “Enchanting Evening,” prompted members of our team to dress up in fairy tale garb, meaning there were lots of princesses and wizards strolling through the Light Court, our Open House venue for the past 16 years. Along with those charities noted above, money raised has gone to a wide range of local, national and international causes such as 9/11 – NY Uniformed Firefighters, a gear support system for US soldiers in Iraq (Anysoldier.com), and the families of victims of the a deadly bus accident in Indiana. Does your company host a regular event that combines socializing with raising proceeds for people or organizations in need? If so, please share your thoughts. Thank you to all who participated in this year’s event. Vice president at Concierge Unlimited International, based in Chicago. This entry was posted in Chicago CRE industry and philanthropy, Philanthropic Outreach and tagged 9/11 - NY Uniformed FIrefighters, Anti-Cruelty Society, commercial real estate, Concierge Unlimited International, Concierge Unlimited International's products and services, gear support system for US soldiers in Iraq (Anysoldier.com), leasing and related industries, Les Clef D'or Foundation, Les Turner ALS Foundation, Light Court at the Rookery, members of property management, Mercy Home for Boys and Girls, silent auction. Bookmark the permalink.